Prime Minister Nikol Pashinyan has called for strong government efforts to bolster the ties with Diaspora communities, saying that his cabinet's move to close down the Ministry of Diaspora (vesting its functions in a high-commissioner) was part of the proposed measures to revise the cooperation frameworks. In a parliament address introducing the new government's program, the premier also strssed the urgent need to map out the Diaspora's potential ''to make the partnership more effective''. "While making changes in the government structure, we considered not only the physical structure per se but also – as you are probably aware – the functional changes. We believe that every single [government] agency in Armenia must narrow down its role exercising only one function. This is one of the reasons we decided that the Republic of Armenia should not have a diaspora ministry. ''The Ministry of Diaspra exercised functions which were often fulfilled by other ministries. Instead, certain other functions – supposed to be vital in terms of our relations with the Diaspora – were never actually implemented. My message is that the government isn't inclined to have a ministry of diaspora in the cabinet structure. 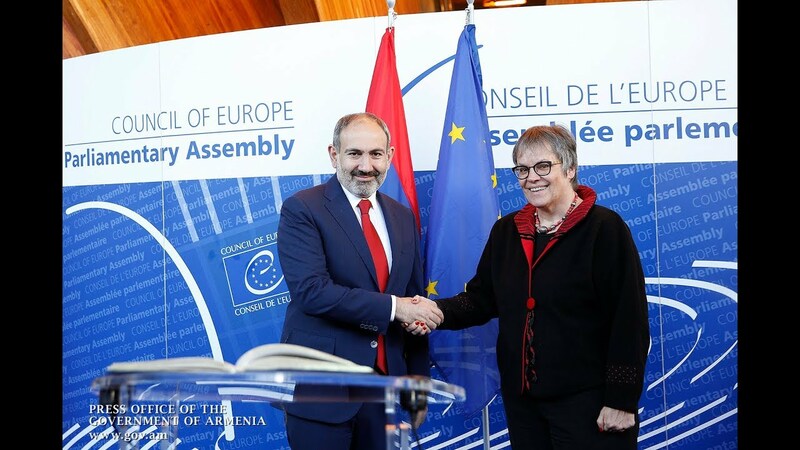 Instead, we will have a chief commissioner on diaspora affairs in the Staff of the Prime Minister of Armenia - to pursue the Diaspora-related policies, as well as coordinate all the ministries' work in the relationship with the Diaspora,'' he added. Pashinyan said that the government has two outlined major priorities on the Armenia-Diaspora agenda. ''The first deals with mapping out the diaspora's potential. We do not know to date what potentials the diaspora has in each specific country and what the estimated influence is. The system is not sufficiently organized,'' he said, noting that the program has devoted a separate chapter to measures towards creating a pan-Aremnian network. ''We will have a system encompassing everyday practicable information providing updates on our pitential in each diaspora community, and the government mechanisms to develop cooperation using that potential for achieving a higher-level economic, political and security [guarantees] in Armenia,'' he said, highlighting the government's strong commitment to upgrade the collaboration with each community. As the second key objective, the premier emphasized the need to create a single organization or format facilitating the relations. ''We must be able to design a concrete address to know our specific addressees in the dialogue with the Diaspora. Upon initiating a discussion every time, each segment of the diaspora feels isolated in a way, thinking that the government has not considered that specific issue with them. We all understand that this is going to be a challenge in the light of the numerous controversies,'' Pashinyan added.